Jordy Liz Blogs: Five and six weeks. 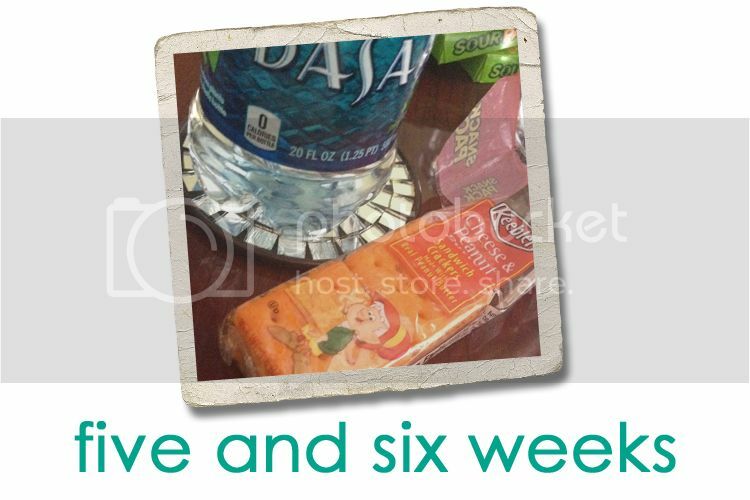 We have hit the five weeks mark and we are into week six; we are just shy of nine more months to go. Just shy of nine? It sounds like a lifetime and we are already anxious for your arrival. It's comforting to be past one month. This is the week you are starting to look like a real baby with your head and body forming rapidly. I picture you in my mind and you seem so much bigger than you actually are. The idea and very thought of you is so, so big. I haven't been as sick this week as I was last, but I am starting to become very particular about what I want to eat and when I want to eat it. At the grocery store the other night, your dad kindly offered up Jello and the very thought of it made my stomach squirm. He patiently put it back, already used to my recent antics. My emotions are on a fast-moving roller coaster and I am quickly losing control. It doesn't help that this is also the week I officially started my new job. Needless to say, I was on the phone with your dad on day two almost in tears wondering what in the world I had gotten myself into. Two hours later, I was fine. And then three hours later, I was not. And then thirty minutes later, I was good again. And so on. I am completely blaming it on you, by the way. I hope you don't mind. We are getting excited and antsy to tell family and friends. I am turning down happy hours to avoid the question, "Why aren't you drinking?" I've already used the antibiotic excuse so I really have no other go-to's. Keeping you a secret is becoming tough. We can't wait to shout about you to anyone and everyone who will listen. I had my first dream about you the other night. I was still pregnant, but holding you in my arms. You were a baby boy and you looked like my brother, your Uncle Will. One of my closest friends, Veronica, texted me today and told me she had a dream I was pregnant. "You're pregnant, aren't you? I had a dream and my intuitions rarely lie." Isn't it crazy how the closest to us just know? Kind of like how I knew about you before any test could prove me right? I especially can't wait to tell her, but as of now, I have to pretend I have no idea what she is talking about. We're looking forward to you and we love you.